Most Christians know they should study the Bible more but many find it confusing and hard to understand - let alone enjoy. In this classic book on Bible study, biblical scholar E.W.Bullinger provides a handbook for discovering, understanding, and enjoying the Bible's truths. A unique introduction to your study of God's word. E. W. Bullinger guides you in the adventure of open and honest study of the Scripture from within-allowing it to speak for itself. He introduces twelve practical principles of interpretation that make inductive Bible study come alive! 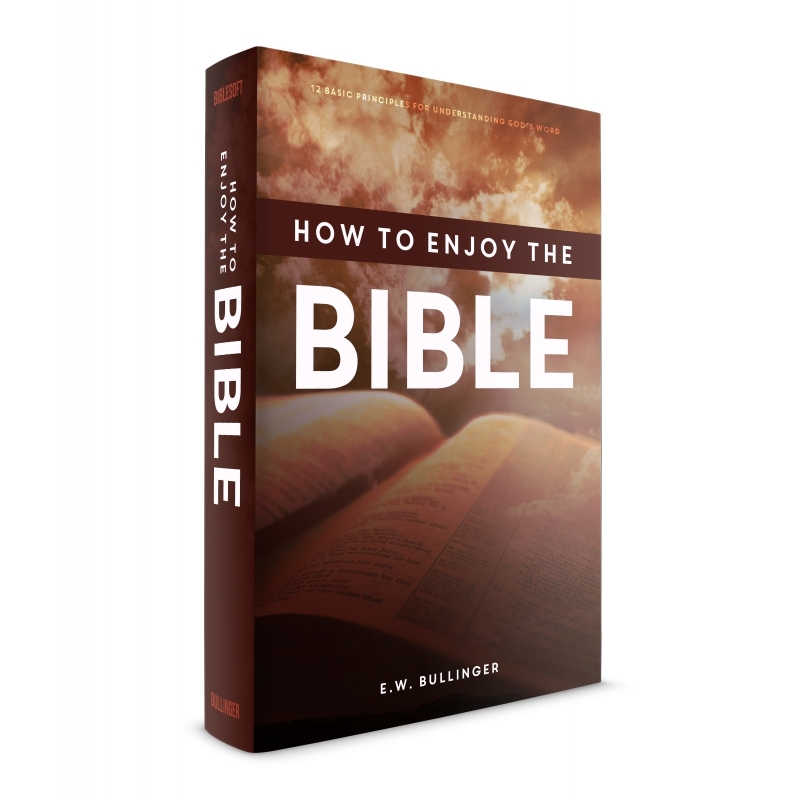 How to Enjoy the Bible establishes the integrity and trustworthiness of Scripture based on its own internal evidence. All believers will be encouraged by discovering how to read, study, and enjoy the sacred contents of the Bible. Ethelbert William Bullinger was born on December 15 in Canterbury, England. He was a direct descendent of the great Swiss Reformer Johann Heinrich Bullinger, a covenant theologian, who succeeded Zwingli in Zurich in December of 1531. Some of his best known works are The Companion Bible, Number in Scripture, Word Studies on the Holy Spirit, The Witness of the Stars, The Book of Job, Figures of Speech Used in the Bible, Great Cloud of Witnesses, The Critical Lexicon and Concordance to the English and Greek New Testaments, How To Enjoy the Bible and Commentary On Revelation. Dr. Bullinger believed in and taught the pretribulation, premillennial rapture. He is also considered an untradispensationalist because he taught that the gospels and Acts were under the dispensation of law, with the church actually beginning at Paul's ministry after Acts 28:28. Dr. Bullinger died on June 6, 1913, in London, England, leaving behind a legacy of works to help in the study of God's Word.